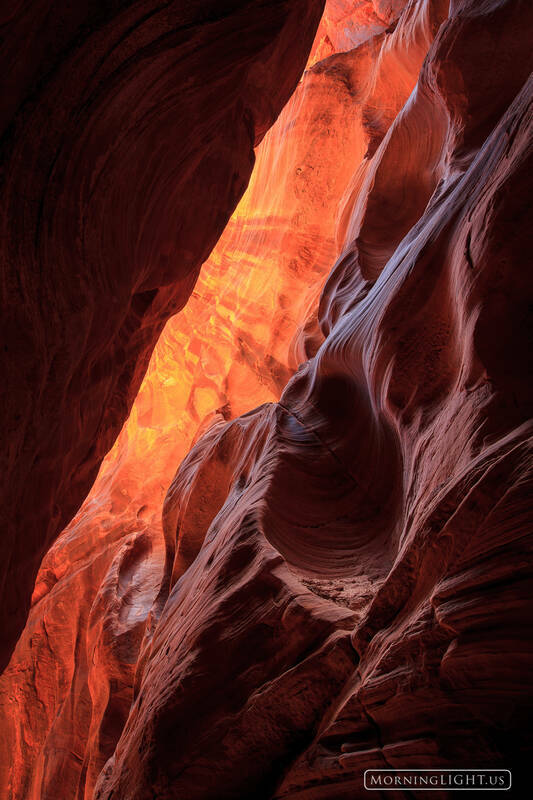 As I looked above me in Buckskin Gulch the upper reaches of the canyon glowed as if heated by fire. Every time I hike here I come out with a tired neck from all the time enjoying the view far above me. Photo © copyright by Erik Stensland.